A Healthy Holiday Foodie Gift Guide just for you! Whether you’re on the hunt for that perfect Christmas gift for your foodie friend or family member OR maybe your significant other could use a little help with his or her Christmas shopping, then we’ve got just the list for you! 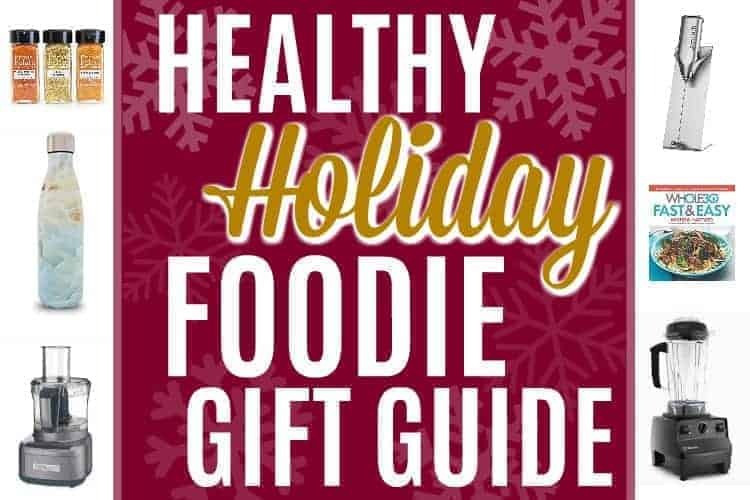 Our Healthy Holiday Foodie Gift Guide is filled with plenty of options in a range of prices. You’ll see that the gifts are separated by price range so feel free to find the list that fits your spending budget. 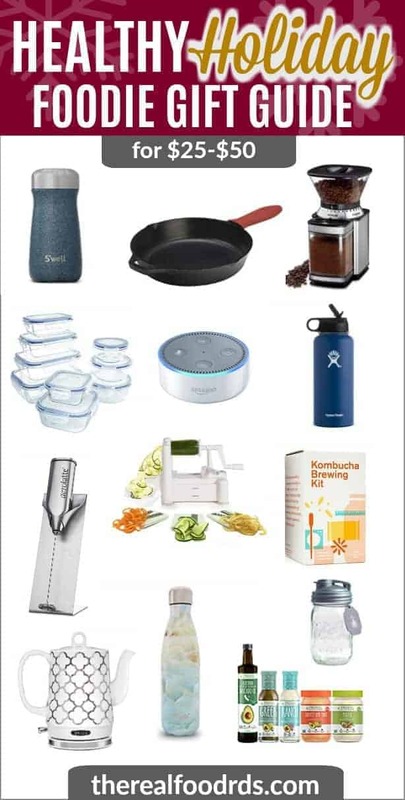 The items include some of our absolute favorite kitchen essentials to help you find the perfect gift for that special someone. 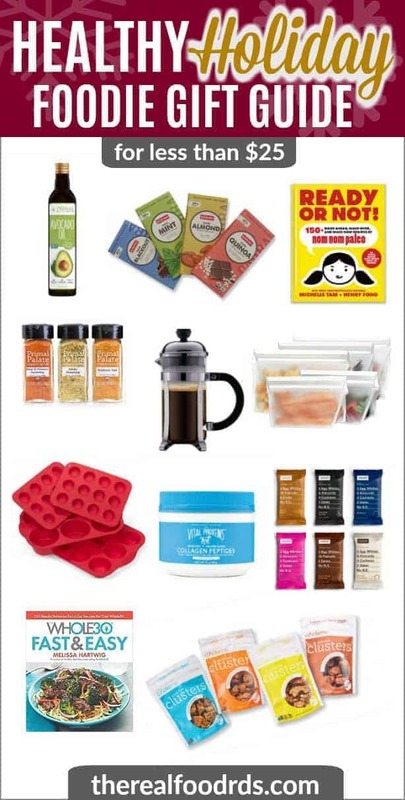 Now lets get to the Healthy Holiday Foodie Gift Guide! French Press – $20.32 – the perfect gift that any coffee lover will appreciate. Bella Electric Tea Kettle – $41.67 – an essential for tea lovers and the fastest way to boil water. AND it’s cute! HydroFlask with Straw – $44.95 – a large water bottle with a straw! Lodge Cast Iron Skillet Set – $69.99 – cast iron in all sizes! Yes, please. PlanetBox ROVER – $79.95 – the BEST bento lunch box that’s eco-friendly, stainless steel and has 5 Compartments. Great for adults and kids! Instant Pot DUO60 7 in 1 – $99.95 – Instant Pots are all the rage and we’re fans, too! Le Creuset Shallow Dutch French Oven, 2.75 quart – $139.95 – any foodie will appreciate Le Creuset! Ninja Coffee Bar – $159 – a coffee bar with multiple functions + the option to make a single cup of coffee or an entire pot. The frother wand comes in handy, too! Breville Compact Smart Oven – $179.93 – a countertop oven that’s perfect for reheating, toasting, baking, etc. 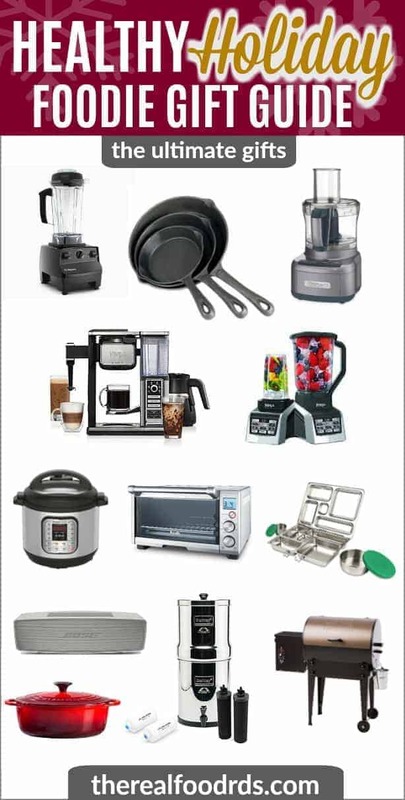 Vitamix Blender – $399.95 – you can’t beat a Vitamix blender! And that’s a wrap! We hope you found this Healthy Holiday Foodie Gift Guide helpful because less time shopping means more time to enjoy with your friends and family this holiday season!